Jake love eggs, climbing trees, and snakes. His brother hates all three. 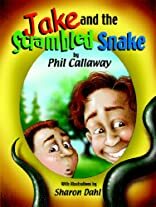 When a dangerous snake that recently escaped from the zoo begins stealing their eggs from the chicken coop, the brothers have to come up with a plan. Jake and his brother hope they are smart enought to outwit the snake!